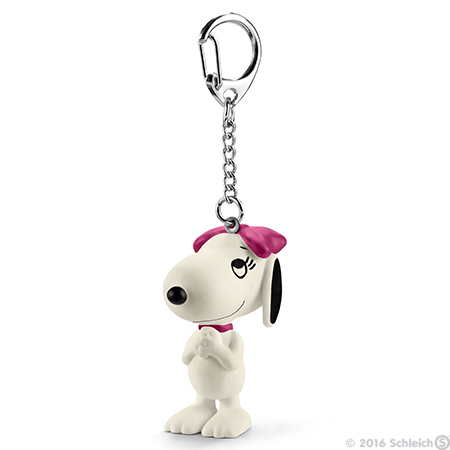 Happy Belle Figurine Key Chain is made in 2016 by Schleich, 2 inch plastic figurine. The keychain part is made of metal. Belle is Snoopy?s pretty sister. Look how sweet Belle looks again today. She is thrilled because she has just received a wonderful message. The cutest beagle girl in the world is beaming with happiness.